In the floral industry for 27 years, Diane first started by taking a floral design course which spurred her love of flowers. She then started a home-based floral business while raising her 2 daughters, the oldest having worked for Trillium for 5 years and the other still here! Is someone you know under the weather? Cheer them up with a bright bouquet of flowers! "The flowers were perfect! Having sample flowers available to help me picture what the arrangements would look like is just what I needed. I would definitely recommend you to friends & family." 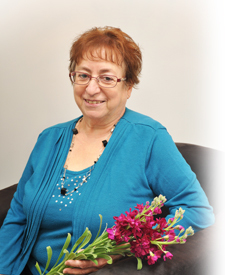 Mandy started working for Trillium at the young age of 14, cleaning flowers and washing floors. 16 years later she is now the shop's Wedding Coordinator and Marketing Manager. She has a passion for making her couples' ideas a reality and loves to see their vision from beginning to end. Seeing the bride on her special day is an extra bonus! You'll often find Mandy perusing the latest floral trends on Pinterest or admiring some really funky new plant we've received. She's always on the lookout for something new and different! 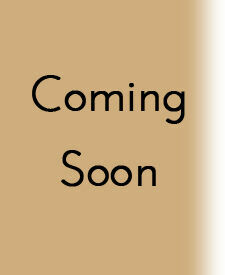 Kritter comes from a wholesale background, having worked for one of our in-town suppliers for many years. She knows the chain of the flower ordering process from knowing how the growers work to getting it to our front door. She has a vast knowledge of seasonal availability and different flower varietals, giving her a vital role in our ordering process. Kritter also has a floral design background, attaining her Floral Design Certificate at Algonquin College in 2008 then proceeding to work for a florist in her hometown. 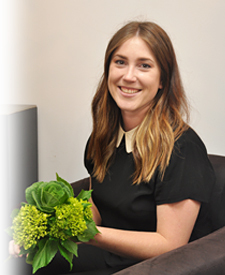 Krysten is a trained Horticulture Technician with a passion for design. 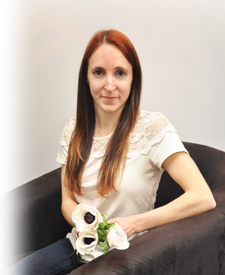 She has experience doing floral design for hotels such as the Westin in the ByWard Market and has worked closely with wedding and event venues within Ottawa. With her background focusing in landscape design, she loves creating beautiful, unique arrangements and catering to events and special requests. Krysten has many pastimes, most of which see her outdoors enjoying nature or rock climbing, seeking new inspiration to bring back to the shop. We can't forget to mention our dedicated drivers who always ensure our deliveries arrive on time and in the best condition possible, as well as our seasonal designers who are always there to lend a hand when needed. Without them, there would be many more 3am shifts and Timmy's runs! In the floral industry for 27 years, Diane first started by taking a floral design course which spurred her love of flowers. She then started a home-based floral business while raising her 2 daughters, the oldest having worked for Trillium for 5 years and the other still here! Diane has always had an appreciation for local businesses and strives to stand out from the big box stores. Putting an importance on customer service, she has formed many relationships with her customers who have been coming since the storefront opened in July of 2000. You'll often find Diane working hard at her desk, planning our next event or catching up with a regular customer! Diane has always had an appreciation for local businesses and strives to stand out from the big box stores. Putting an importance on customer service, she has formed many relationships with her customers who have been coming since the storefront opened in July of 2000. You'll often find Diane working hard at her desk, planning our next event or catching up with a regular customer! beginning to end. Seeing the bride on her special day is an extra bonus! You'll often find Mandy perusing the latest floral trends on Pinterest or admiring some really funky new plant we received. She's always on the lookout for something new and different! she loves creating beautiful, unique arrangements and catering to events and special requests. Krysten has many pastimes most of which see her outdoors enjoying nature or rock climbing, seeking new inspiration to bring back to the shop. giving her a vital role in our ordering process. Kritter also has a floral design background, attaining her floral design certificate at Algonquin College in 2007 then proceeding to work for a florist in her hometown of Brockville.